Philip Treasy was born in Western Ireland in the 1960`s. in 1985 he moved to Dublin to go to the national college of art and design. During the time that he was studying there he began to make hats by hand to go along with the outfits that he designed. In those days when Philip would make hats by hand he looked at it as a hobby of his. Now you can find a simple looking hat of his on E-bay being sold for one thousand four hundred and seventy five dollars. Talk about turning a hobby into a business!! Because his work was so amazing he was awarded a place on the MA fashion design course at the royal college of art in London. Philip graduated with honors in 1990. Since then he has designed hats for the late Alexander McQueen, karl Lagerfeld, Ralph Lauren and Donna Karan. This is a beautiful piece so simple but yet so full of detail. 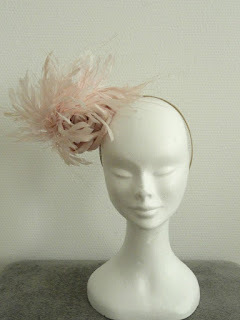 Here are some pictures of feather hats that were made by Philip which I found on this blog lisawallerrogers.blogspot.com. Here is a picture of Philip with the late hat fancier Isabella Blow. Just look at all those feathers in that hat, amazing. 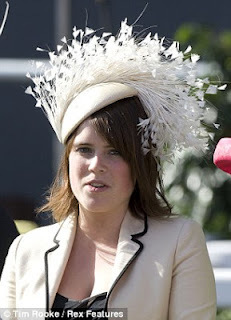 This is a picture of Princess Eugenie wearing one of Philips feather headpieces at some fancy occasion. 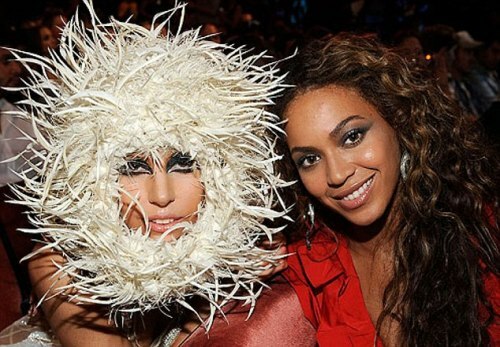 Take a look at this picture of Lady Gaga wearing one of Philips feather wreaths. Last here is a picture of Jodie Kidd wearing a Treacy saucer with pheasant flowers. Do you have any other Philip Treacy feather hats you want to share with us?